Pacific Reproductions was established in 1993 primarily catering for Porsche cars. 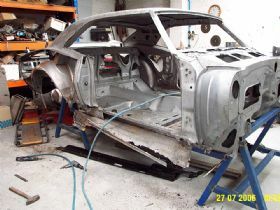 When first opened we were constructing and repairing Porsche race cars as well as carrying out minor/major repairs, modifications and full restoration of Porsche. We built three Porsche Rally cars, which competed in the London to Sydney 2000 marathon rally. One rally car competed again in the 2004 London to Sydney. 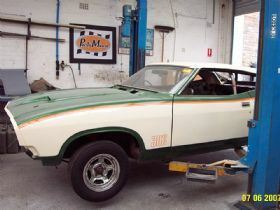 Historic Race cars - we have repaired and restored. Carrera Cup cars we have carried out repairs. We are the supplier of BBS Motor Sport Wheels and components to Carrera Cup. Pacific Reproductions staff all have specialised skills and attention to detail required to carry out work on customers (maybe your) unique car. 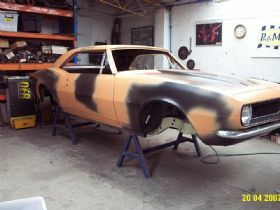 Our Head Painter has 30 years experience and is very passionate about his work. Our Head Panel Beater has 25 years experience originally doing his apprenticeship at Mercedes Benz in Stuttgart fabricating panels for prototypes which eventually went into production. Here at Pacific Reproductions we treat our customers cars as if they were our own. 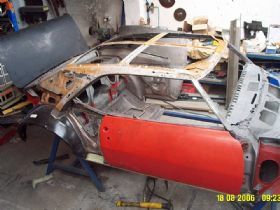 All our work is done to a high standard and we dont take short cuts as we would not accept this if it was our own car. We are a very diversified company and offer and carry out many services with our skilled staff. Contact Pacific Reproductions or just come down and have a look at some of our work or discuss a special project you may have in mind and I am sure we will be able to assist you with any of your requirements. Phone Warren on (02) 9970 7911 for any enquiries.